Colonoscopy is the preferred screening method currently available for detection of colorectal cancer and its precursor lesions, colorectal polyps. However, recent data suggest that there is a significant miss rate for the detection of polyps in the colon during colonoscopy. 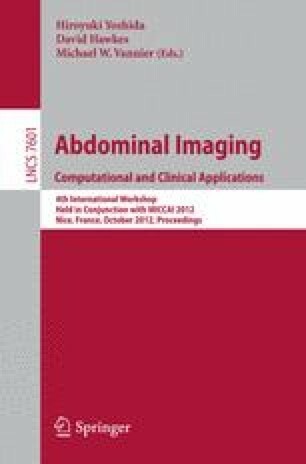 Therefore, techniques for real-time quality measurement and feedback are necessary to aid the endoscopist towards optimal inspection to improve the overall quality of colonoscopy during the procedure. A typical colonoscopy procedure consists of two phases: an insertion phase and a withdrawal phase. One of the most essential tasks in real-time fully automated quality measurement is to find the location of the boundary between insertion and withdrawal phases. In this paper, we present a method based on motion vector templates to detect the phase boundary in real-time. The proposed method detects the phase boundary with a better accuracy and a faster speed compared to our previous method.